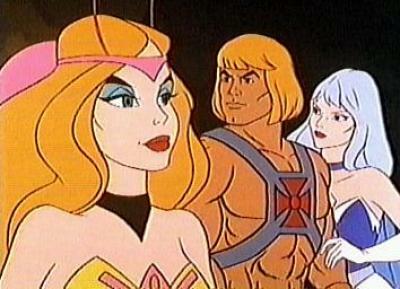 He-Man.org > Cartoons and Features > She-Ra Princess of Power 1985-87 > Features > Look! New Toys! 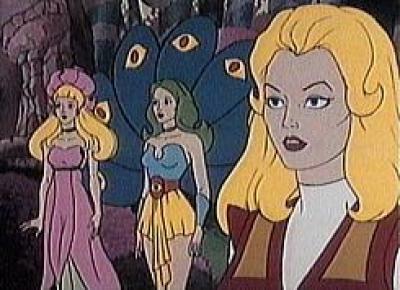 As She-Ra's season two began, the alarm bells were ringing for Mattel, and so they had Filmation introduce many new toy-based characters, and try and get them into the mainstream of the show. 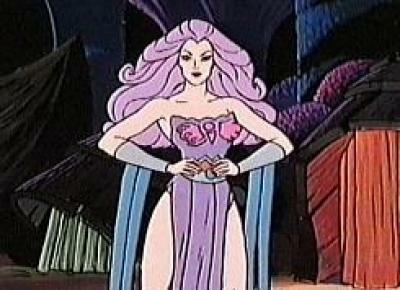 Thus toy sales would pick up and She-Ra as a toy product would become a success. 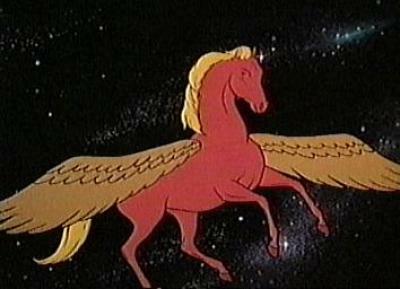 Sadly, it did not work out the way they had planned and after 28 episodes of She-Ra's season two, the series was over. But we enjoyed seeing all these strange and colorful new characters. 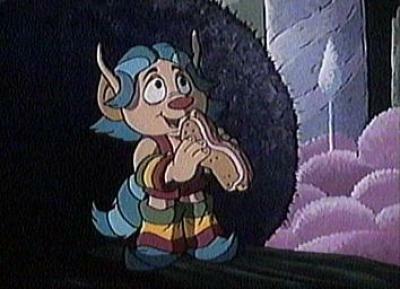 Even though Peekablue had been seen very briefly in "Enchanted Castle" from season one and "A Christmas Special," it was time to place her in the series as one of the main rebels. 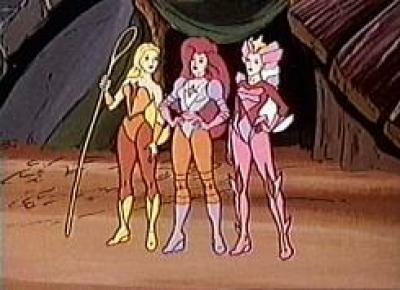 And so season two's first episode "One To Count On" had her fighting alongside Bow and She-Ra. I think it was hard to just accept Peekablue as a rebel overnight. A woman who had giant peacock feathers sprouting from her back deserved some kind of origin. This episode was also good because it debuts Entrapta, who was a completely new character and completely upstages Catra. Entrapta was a wonderfully designed character, and she should have been more used in the series. The animators gave her a wincing, evil look that works, and Linda Gary endowed her with a deep-throated, haughty voice that distinguishes her from the rest of the cast. The voice gave Entrapta a whole aura of superiority and intelligence. "One To Count On" also debuts Clawdeen, who was an existing toy that had never been seen on the show. 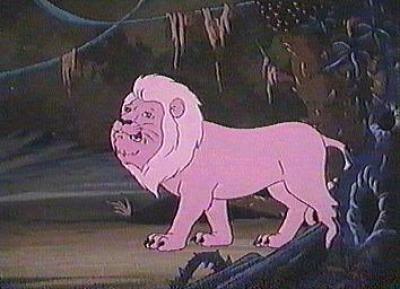 Filmation did a good job on bringing the character into the animated world, because the toy would never make the transition; a giant cat with makeup and a beautiful curly mane. At least the artists created something to fear as Clawdeen looked like a match for Battle Cat. No facial make up and no curly mane, just an aggressive-looking evil cat. Surprisingly this was Clawdeen's only appearance, and I doubt that sales increased overnight. 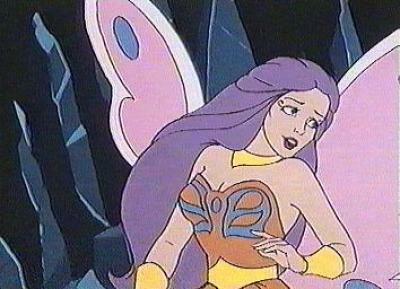 Flutterina debuted in season two's "Out Of The Cocoon," which was her origin story. This is generally considered as her first appearance, even though she, like Peekablue had also appeared briefly in "Enchanted Castle," and "A Christmas Special." It's a strong debut story nevertheless, and viewers immediately like Flutterina. After the transformation, she promises Light Hope she will use her powers for good. This leaves the entire audience begging the question, "What powers?" The biggest problem with Flutterina--and the reason why she hardly ever appeared in the series--is that no writer knew what to do with her. 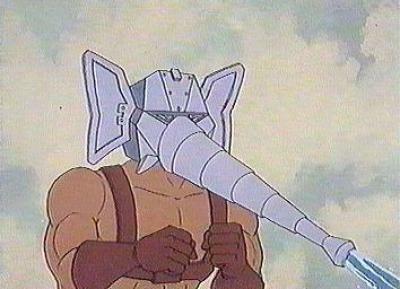 This episode also gives the audience another look at the He-Man character Snout Spout, also known as Hose Nose throughout his few She-Ra appearances. The only episode that takes him seriously is "Day Of The Flowers," where Snout Spout is supposed to be Eternian after these She-Ra episodes have already indicated that he lives on Etheria. This episode made sure it reminded the audience which characters were the new toys with a few rather blatant shots of Perfuma, Peekablue and Flutterina. As Robert Lamb who storyboarded that episode stated, "I hated having to put extra characters in for window dressing to sell toys. If the toy characters were integral to the plot, fine. But not in that one." 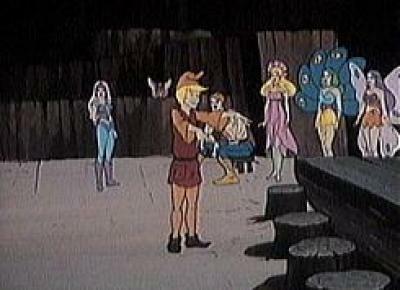 Loo-Kee's second appearance in an episode may have had something to do with the impending release of his toy. 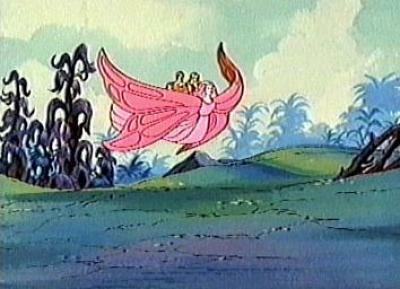 "Loo-Kee's Sweety" really builds up a background story for Loo-Kee, a character who had previously only appeared in one other episode to help out. 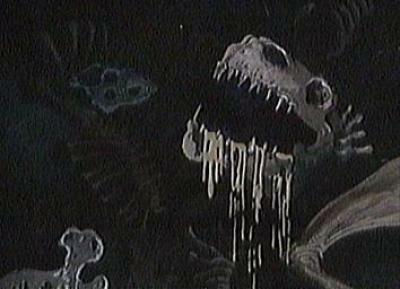 This episode is also known for advertising the He-Man toy the Slime Pit. 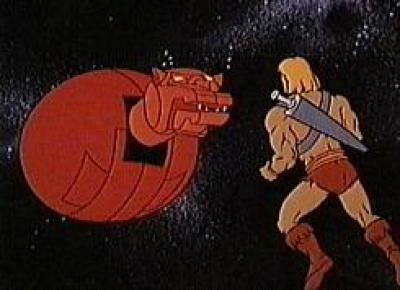 The Slime Pit toy was one of the most recognized He-Man toys, but it never had a chance to appear in the He-Man animated series. As with quite a few inconsistencies in the series, the Slime Pit on the cartoon barely resembles the toy version. "When Whispering Woods Last Bloomed" is the debut appearance of both Spinnerella and Netossa. 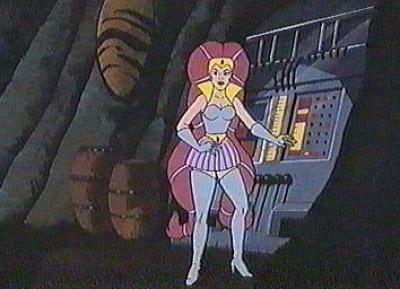 While Netossa at least appeared in a few more episodes, Spinnerella's appearance in the She-Ra series was only in this one episode. It may be that the writers were forced to write an episode around her, but could not use her again because her power was really too strong. To have her as part of the rebel army would mean that they have a bigger chance of beating Hordak. This episode is of course known for the crossover of two recurring guest characters, Sea Hawk and Sorrowful. 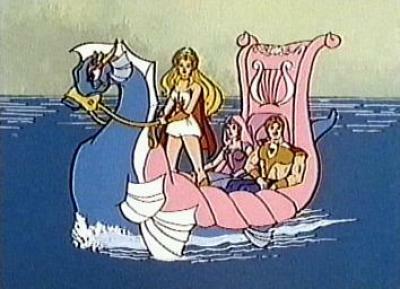 One other thing that this episode does in the first few minutes, is advertise the new toy for the She-Ra line, the Sea Harp. "Bow's Magical Gift" has the rather forced and rather blatant appearance of the Star Sisters. Bow demonstrates his newfound magical weapon while Tallstar, Jewelstar, and Starla watch. 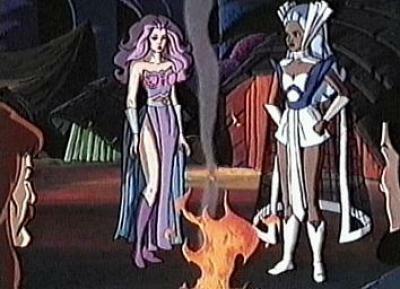 For those that do not know, the Star Sisters were one of the last line of toys to be released for the She-Ra series, but even though prototype figures were made and advertised, the figures sadly never made it to toy shelves. 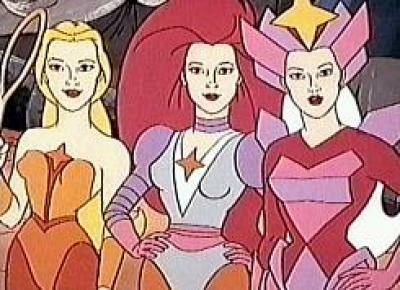 The Star Sisters are sadly to remain as a very small part of the She-Ra concept that could have gone onto bigger and better things had the toys and the series continued. "Sweet Bee's Home" is of course the classic He-Man and Frosta episode, directed by Tom Tataranowicz and written by Bob Forward. The other thing that people often forget about this episode is that it also features the debut of Sweet Bee. Sweet Bee does get immensely good screen time, but by the time the episode has finished, all anybody ever really cares about is the brilliant comedy between He-Man, Frosta, She-Ra and Mermista. This is truly one of She-Ra's best episodes, and Sweet Bee was lucky to be in it. 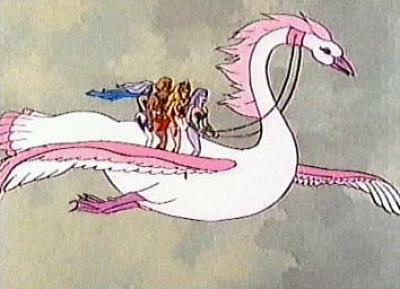 Also worth mentioning is that Enchanta makes her debut in this episode, who was one of the later series of She-Ra toys, the giant swan that flies. 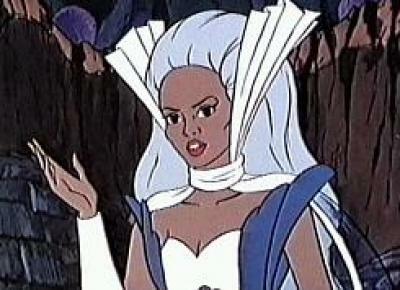 The idea sounds awful, but surprisingly the animators manage to make the scene look normal in the world of He-Man and She-Ra. 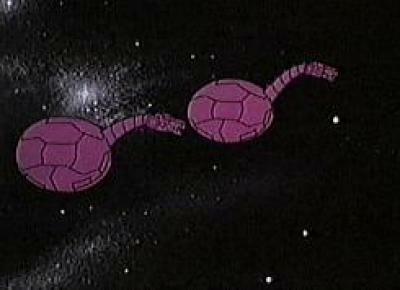 The Butterflyer toy debuts in this episode piloted by Adora and Bow. The vehicle appeared to traverse land at a tremendous speed. Again like most of the toys in season two, this was the only appearance it managed to have. 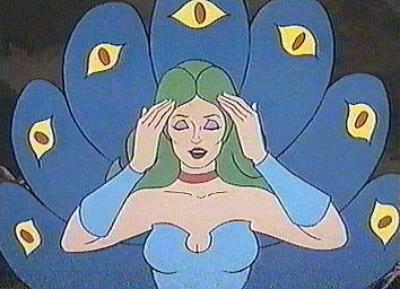 "Assault On The Hive" was the She-Ra series final big push to advertise the later toys. From watching this episode it is quite obvious that they knew this was one of the last episodes to be made. Coming in at episode 91, it features a crossover with He-Man, uses Skeletor as the main villain, reminds us of Netossa and Sweet Bee, debuts Crystal Sun Dancer and oddly debuts Comet Cat and two Dinosorbs. This episode is packed with new toys, and from the writer's pen, bids a fond farewell to He-Man and the Masters of the Universe.